Sanofi, a pharmaceutical company in France, has agreed to purchase the right to market Afrezza for $925 million. The drug was recently approved as an inhaled insulin treatment for diabetics that was developed by California based MannKind Corporation. Sanofi, which is Paris-based, said it was paying MannKind $150 million upfront. Alfred Mann is the entrepreneur physicist who owns MannKind. Following the first upfront payment, MannKind will receive up to $775 million more if certain regulatory and sales milestones are met. Sanofi plans to start sales of the treatment sometime in early 2015. The firm from France will also be sharing 35% of its profits or its losses from the sale of Afrezza with MannKind. Shares of MannKind were up 40 cents on Monday to close 5% higher at $8.53. The collaboration between the two marked a big milestone for MannKind, which has spent over a decade and close to $2 billion in the drug’s development. The U.S. Food and Drug Administration this past June approved Afrezza sending MannKind searching for a pharmaceutical company that could market their drug. Sanofi was its choice. 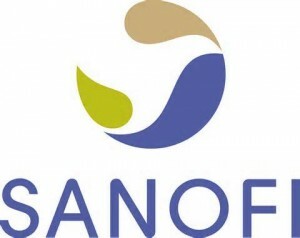 Sanofi is a global pharmaceutical company that has a broad range of products in the healthcare industry, including human vaccines and diabetes drugs. MannKind will be manufacturing the medication and relying on the global network of Sanofi of marketing and sales professionals for the sales of the drug. Mann said that he expected the demand for the inhaled medication to be quite substantial. Diabetes affects more than 29 million people across the U.S. according to data from the Center for Disease Control. Worldwide close to 382 million people suffer from the disease. CFO Matthew Pfeffer at MannKind said that Sanofi was an ideal partner to have. The company in Paris is leading the world in providing diabetes drugs. Pierre Chancel, the Sanofi diabetes unit senior vice president said he was not expecting that Afrezza would compete with existing products. Rather, he believes it will be marketed to patients struggling to start using insulin due to not liking to take injections. Wall Street and industry analysts praised the collaboration between the two companies.